Ever feel a little frustrated with your dog’s behaviour or envious when you see a well behaved dog? 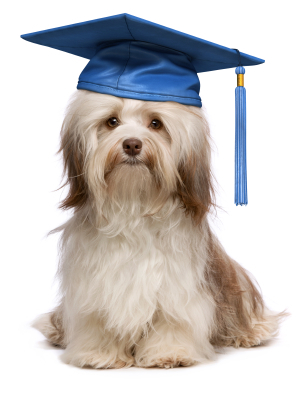 With Advanced Life Skills, you and your dog can build on early puppy lessons and be the envy of the neighbourhood! As always, we take a positive reinforcement approach and provide practical behaviour solutions for REAL LIFE success! Greets people politely without putting his paws all over their clean pants. Stays on a mat beside me while I am eating. Drops whatever I ask him to. For more information call us directly at 416-996-7339.